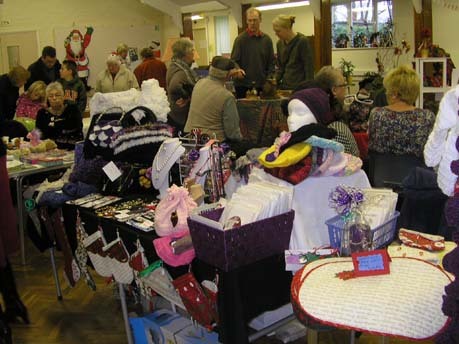 The Christms Market for 2011 was held in the Village Hall and annex on Sunday 4th December from 10am to 3pm. 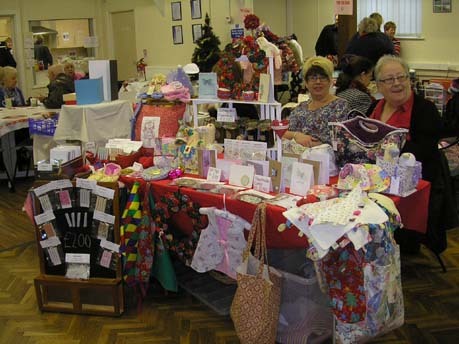 There were pl;enty of stalls with many displaying some beautiful craft work. 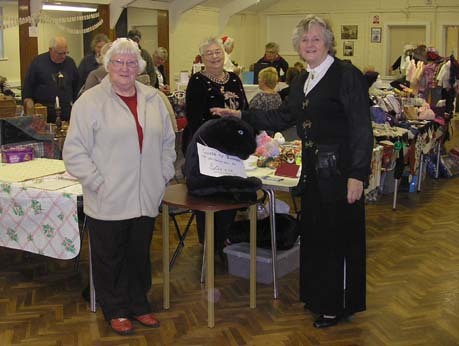 These included handmade greeting cards, Christmas decorations, wreaths and corn dollies, wood craft, sewing, patchwork and knitted items, homemade preserves and jewellery. 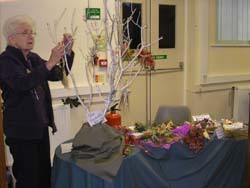 Pretty plants and floral arrangements were also on display. 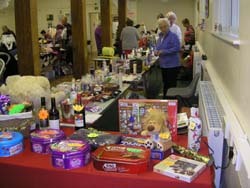 There were of course the ever popular homemade cakes and pastries stall, tombola, bottle stall and a raffle with some lovely prizes. Refreshments included warm mince pies, tea and coffee. 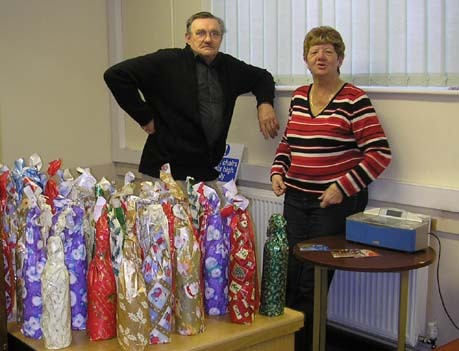 Finally of course there was a visit from Father Christmas with his sack of little gifts for the children. 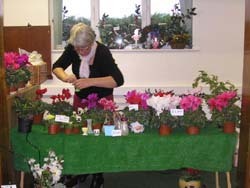 The weather this year was much kinder, last years had to be cancelled due to the severe snow. The event was very well attended. Thanks and appreciation go to all those involved in organising and supporting the event.